She stayted United States, Tennessee state at the junior high school and high school days by the Influence of the work of parents . She entranceed of Department of Commercial Science at Waseda University after she returns home. The scholarship 10,000 dollars are acquired from BERKLEE COLLEGE OF MUSIC in 2000 after she graduates. She went to study to Boston, and she attended school to the Barkly sound large performance department in September of the same year. She studies under Joan Brakkin when being attending school, and the prize and Mary Jane Howard as the pianist who is honored are given. Performing she returned home in September, 2002, and she was acting from solo aggressively in the quartet at a jazz club, live, and a lounge and various parties, etc. around Tokyo now. From the beginning, other those who perform are obtaining a lot of reputations from the jazz hound with unique superior piano Souhou. Zen nikku hotel hotel manhattam bass & piano DUO etc. At another, various bridals, and the parties, Hotel Okura, the Westin Hotel, Granhaiat, Park Hyatt, and 350 T&G system halls or more, etc. have been experienced. He From Tokyo in 1974 The electronic organ is started from four years old. The initiation of the clarinet is received from Nobuaki Hamada in the convex music for wind instruments part. He thinks Hiroshi Uchiyama and the saxophone of the clarinet of classics it is YAMAHA Academy of Music after it graduates of the high school to be an original lamplight, and it studies under ..jazz saxophone.. Hisashi's Yoshinaga each Mr.. The scholarship is obtained and He goes to study to the Barkly music university in Boston in 1997. He is ..clarinet.. George Garzone as for Harry Scolar and the saxophone He studies under each Mr. of Frank Tiberi. Homecoming in 2002. It is acting around the metropolitan area now. The second place of the jazz section is won in the Nonaca saxophone contest in 2003. The jazz course is serialized to quarterly paper "Nonaca saxophone friends" in 2006. He is another who chiefly leads own band and acts from 2005 around the activity as the modern jazz and the clarinettist as for the metropolitan area. He is performing acting aggressively in the duo with each a band, associate Cawatarou, and Masako Hamamura Mr. such as "Gencore Yasui new Quatro Letras", "Mewocorason", "Akemi Ota Risk Factor", "Sgadairor OK.hp-ds", and "Feather Dentagayashi Big Band" etc. He was born in 1970. He studies under high west Yasuo including the contrabass and Atsushi's Suzuki both men at the age of 16 because of the electrical bass and 20 years old. It studies under Tetsya the jazz theory. 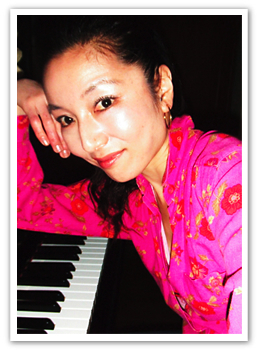 It devotes oneself to jazz while performing various genres like jazz, the tango, and classics, etc. in Tokyo. The scholarship is obtained and it goes to study to the Barkly music university in 1997. The activities of live and the recording, etc. are done in Boston. After He returns home, He acts by city Nomot trio, Sgadairor trio, Tamogyou Takahashi 'okhp', present age Cotowarinin, and Taeko Kurita quartet, etc.Moreover, various sessions try supporting as participation in shezoo'TRINITE' 'TRION' and Midori Kubota 'Dalmania music brigade' etc.In own project that continues since 2001, it challenges the composition and the ensemble corresponding to various organizations besides the solo base. The performance that used the Taishou era harp in 2006 is started.